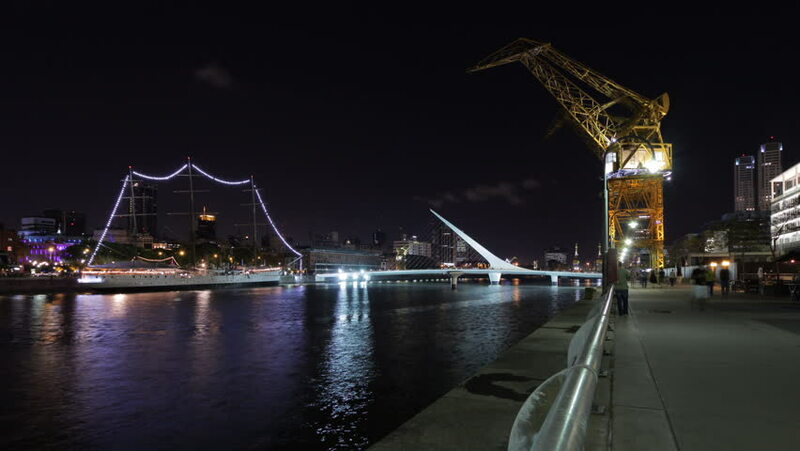 Night view of Puerto Madero harbor, Buenos Aires, an exclusive residential and working area. Photo time-lapse with wide angle. The background contains parts of the cityscape (Argentina; Dec 2011). 4k00:14Opening drawbridge. Bridge over the river, illuminating the water with light from lampposts. City night scene with illuminated bridge over river.Saint Petersburg,Russia. hd00:56Hamburg,Germany - December 12, 2012, Container ship at the Burchardkai - a terminal at the harbour in Hamburg. One little boat is driving on the river. Night shot. hd00:08Evening Moscow. Navigation on the Moscow river. hd00:2521.07.2016 Krymsky Val Street. Navigation on the Moscow river. 4k00:15TARRYTOWN, NY - MAY 2: Barges and cranes on the Hudson River, under the existing Tappan Zee Bridge, help to lay the pilings for the foundation of the new bridge on May 2, 2014 in Tarrytown.